Multicultural artist E.R. 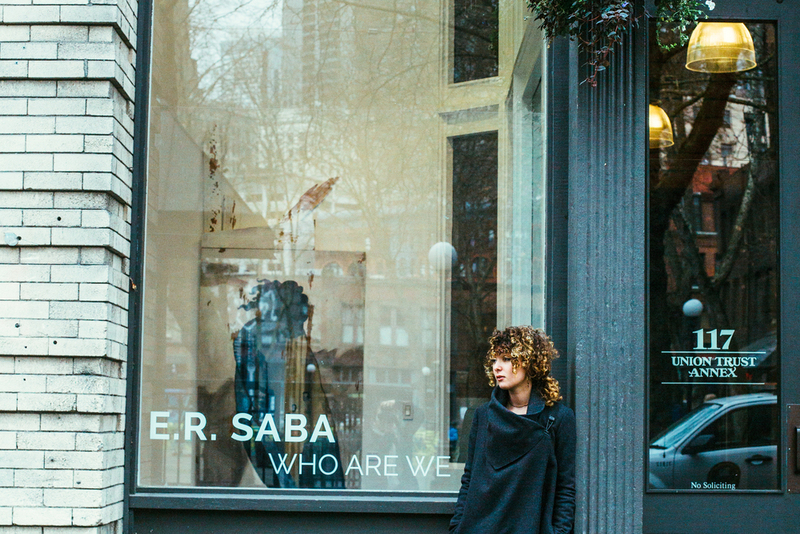 Saba studies the questions of immigrant children in modern America. Our beloved city, Seattle, is full of multicultural children looking for a singular cultural anchor. WHO ARE WE is the question echoing throughout these children’s geographically dissonant minds. Physical identity as a consequence of physical location, or, the exploration of defining oneself by the city one currently resides in, is a comfort to the isolated. E.R. 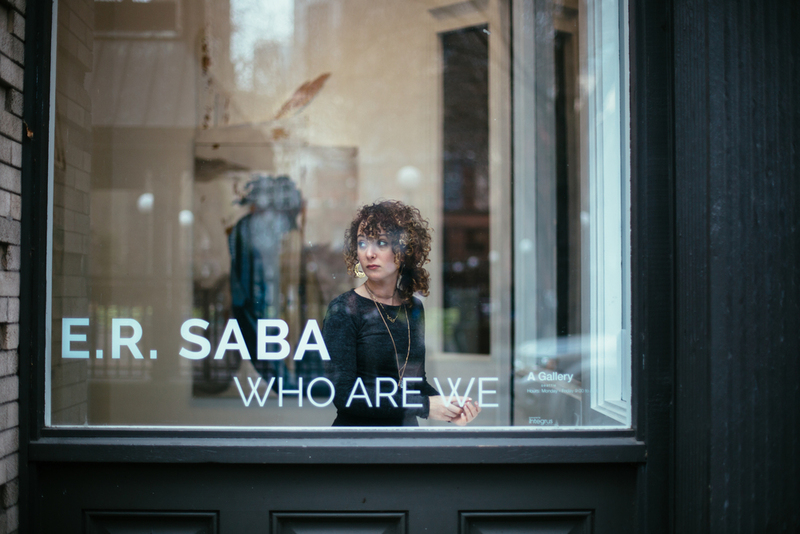 Saba works to depict the emptiness of culture and tradition, and to declare an accompanying death of origin and the euphemistic “hometown”. I think Erika and I first noticed each other by the others' moves (...and hips) in the dance class we took together while attending the University of WA. We further bonded by our mutual pursuit of art degrees and our love of Parnassus (UW art building's coffee shop, where I worked and spent much of my time). Three years later, she is still one of my loves living in Seattle. Erika is showing "Who Are We," a collection of paintings and installations, up at A Gallery in the Intergus Architecture building. If you are in Seattle you should definitely check it out! I just so happen to be in one of the paintings. How flattering is it to be in someone's art huh?